Jon Snow may know nothing, but his earthbound counterpart Kit Harington certainly knows plenty of stuff we wouldn’t mind hearing. The 32-year-old actor holds within his brain the end of one of the most beloved television programmes of all time, a show which flipped and thoroughly skewered our perceptions of the fantasy genre. It’s a heavy crown for anyone to bear, even if you do have secret Targaryen blood running through your veins. And no doubt Kit has to keep his lips well and truly zipped when he is down the pub. However, could it be the King in the North has just let loose a dragon sized Game of Thrones spoiler regarding his fate? I was there the whole time this year. I felt a bit like people were coming in and out, and Jon Snow was just f—ing there the whole time. You have these in-jokes, and these relationships that thrive for eight years. That’s a long time for those jokes to be going, and they never felt old or tired. In the last season, I was like, these are getting tired now. And I think they got tired because we could see the end coming. That’s a way of emotionally detaching from something: relationships very slightly starting to strain, just on the edges, just frayed. Now everyone loves each other again. Interesting use of words here. So if Kit was there ‘the whole time’ we can safely assume he was there until the very last episode (ever!) wrapped up, meaning Jon Snow will at least survive until this final hurdle. Kit also dropped a couple of hints about the fate of Tyrion (Peter Dinklage), without whom Game Of Thrones would lose so much of its brains and Valyrian steel sharp wit. Speaking with Variety, Kit let it slip that Peter finished filming a day before him, noting ‘I saw him just break down’. We can therefore deduce that the most likeable Lannister survives for at least the majority of the series. Thank the old gods and the new for that. We’ve already lost Jon once, and surely not even the pen of George R.R. Martin would be as viscous as to bump him off before he can learn of his true legacy? These latest comments at least suggest he won’t be ripped apart by Wights 30 minutes into the first episode. One thing is for sure, the conclusion of Game of Thrones isn’t going to be like the ending of Friends with all our favorite characters heading off together for a well-deserved glass of blackberry wine. This season will undoubtedly prove bloody, brutal and emotionally grueling, and the final goodbyes will be far from pleasant. 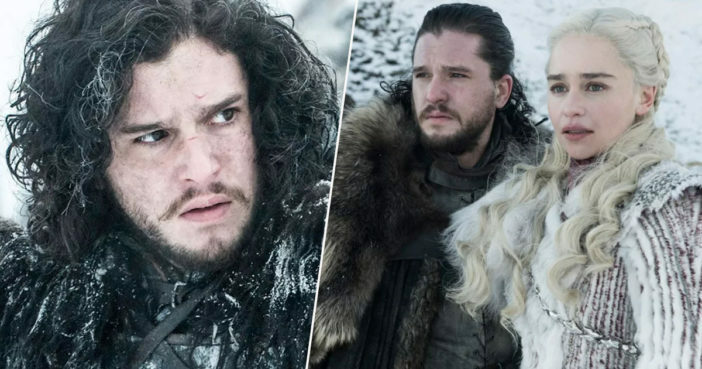 Game of Thrones will return Sunday, April 14, for the eighth and final season.